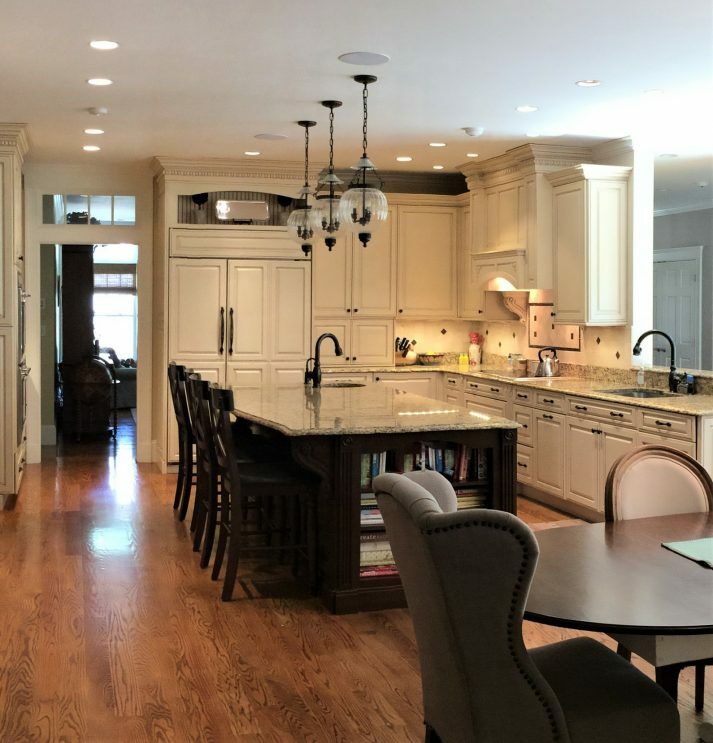 This stunning kitchen in Winchester features an oversized granite island with plenty of seating and storage, including ample shelving for cookbooks. 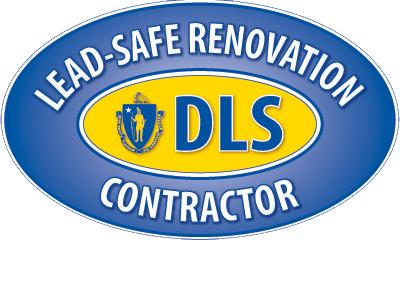 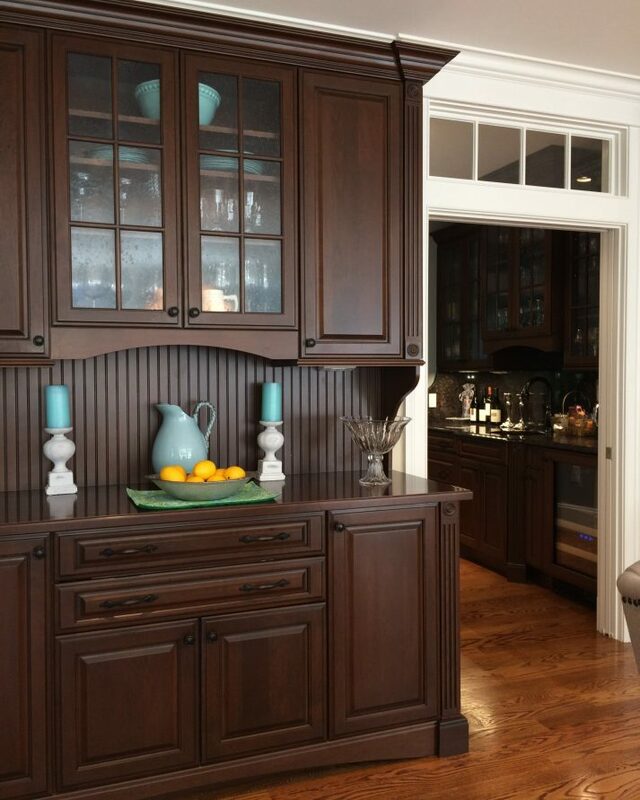 The custom cabinetry is varied in both finish and style, to add interest to the various work and living areas. 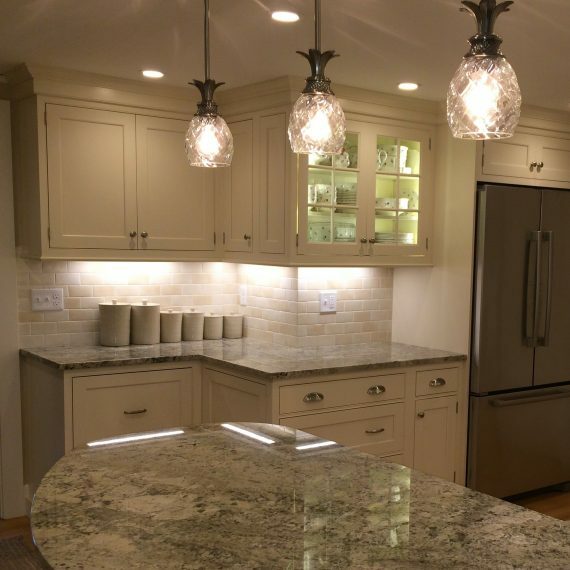 Elaborate lighting options with discreet controls add function and beauty. 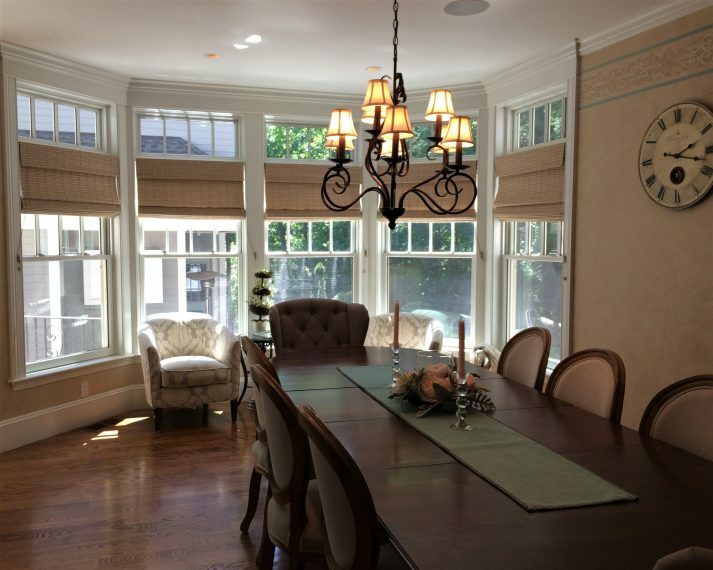 French doors and a bank of windows provide abundant natural light to the inviting seating alcove and the generous dining area. 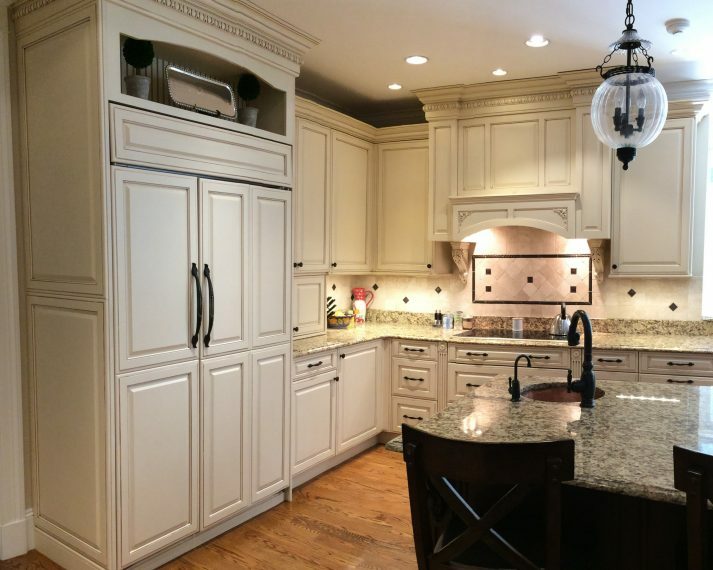 A butler’s pantry with custom cabinetry, granite countertop and modern conveniences leads to a dining room with a coffered ceiling. 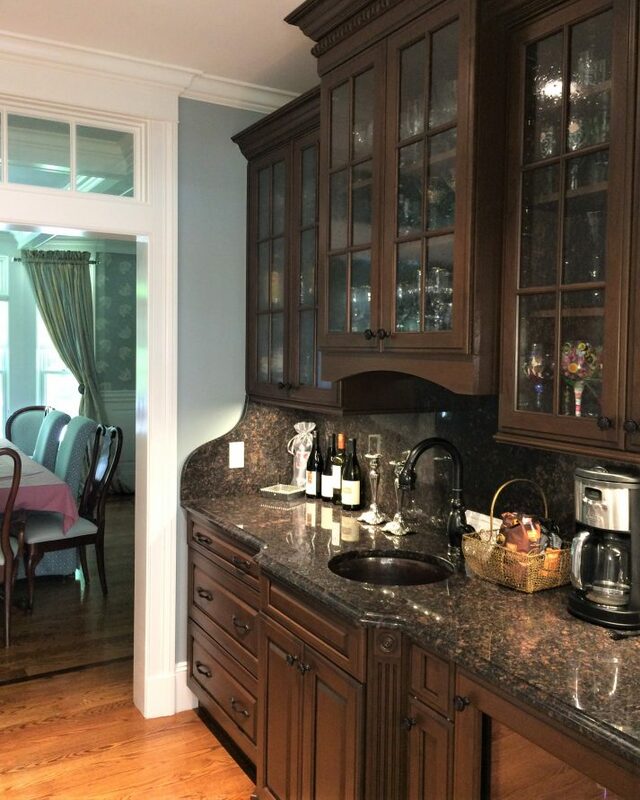 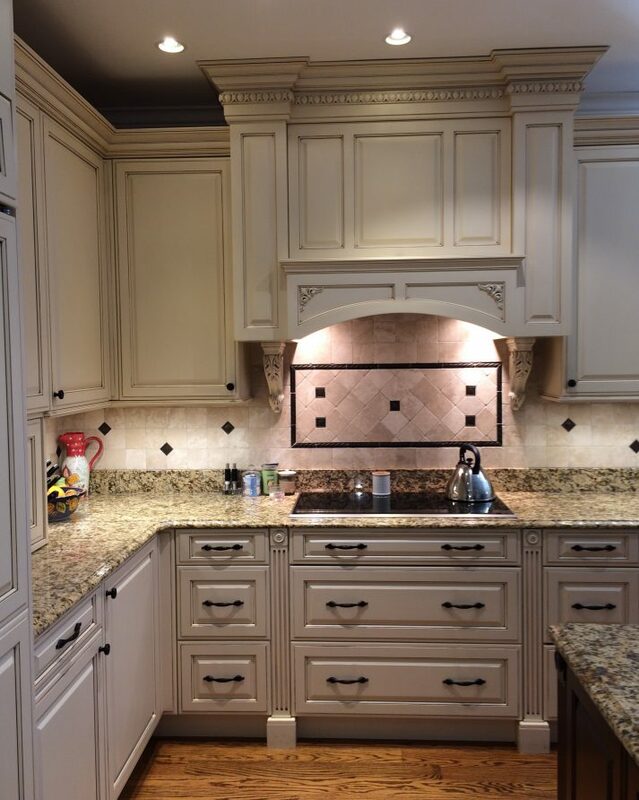 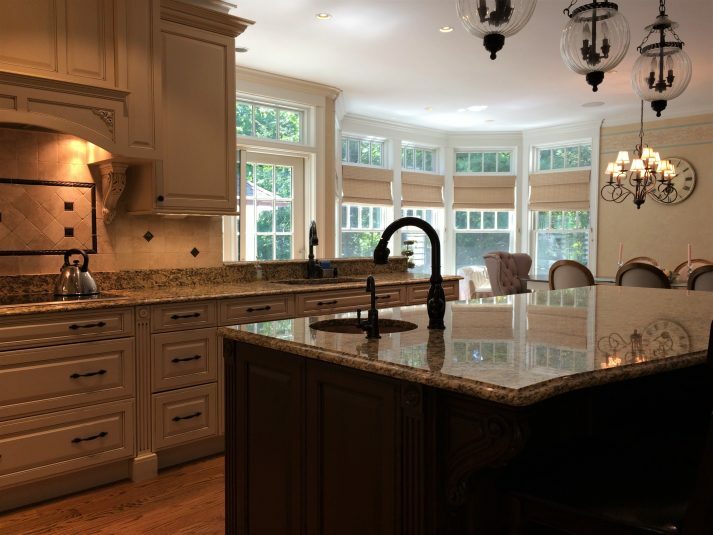 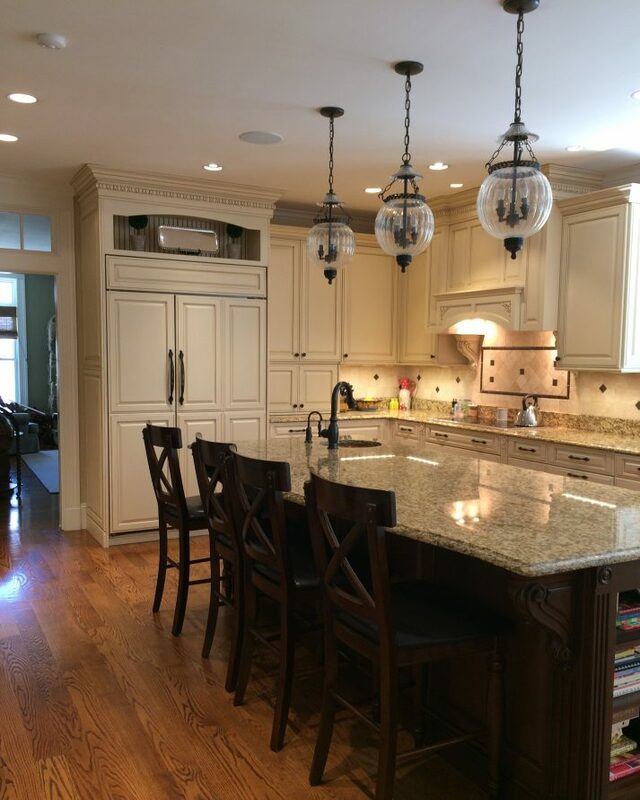 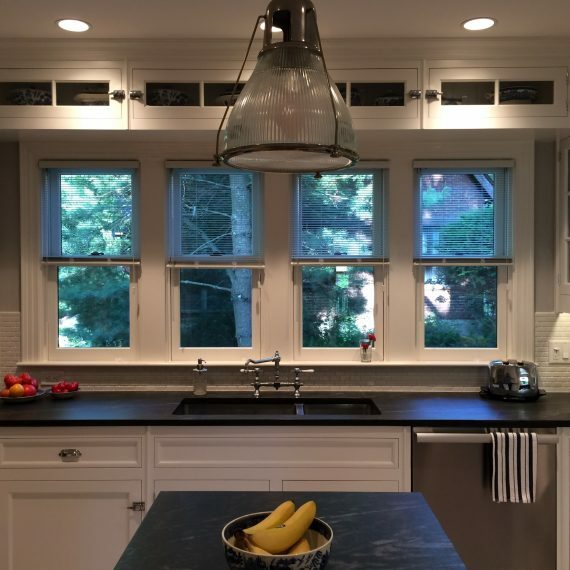 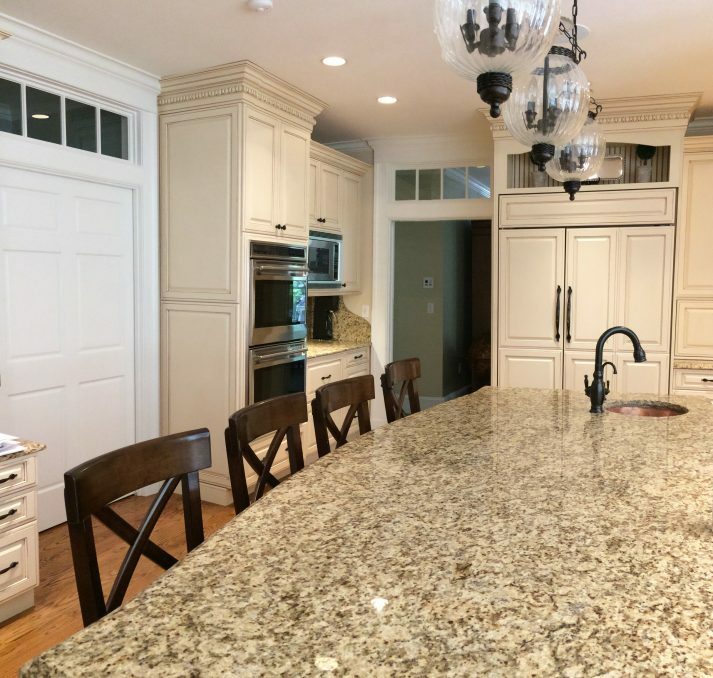 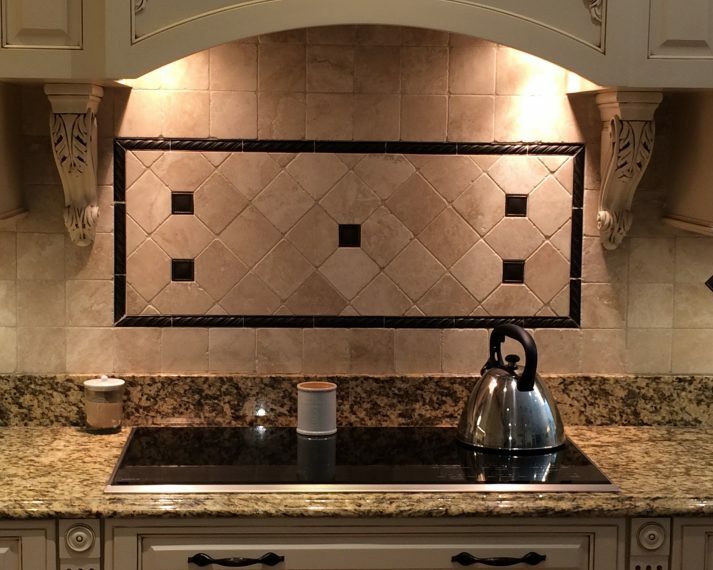 Millwork’s skilled carpenters worked closely with the architect, kitchen designer and mechanical subcontractors to create this beautiful kitchen.